This specific Senior pictures was a simple pose of a high school senior. We added the hat that just seemed to match the fashion ring she was wearing. For seniors in Jasper GA or Ellijay, GA your choice is simple. 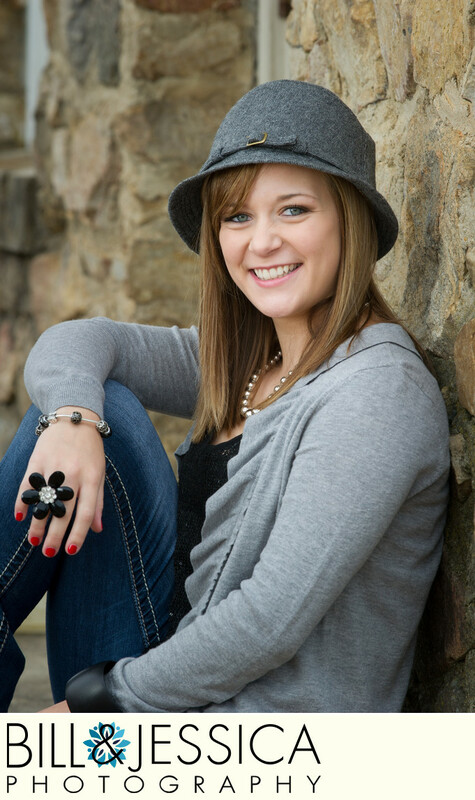 If you want to have your pictures taken by a professional Senior Photographer, you need to contact us. Before we try and explain the difference, you can take a look at some of our previous senior pictures. You can be assured that we are all about getting the images you want. We want to know about you. What you expect, what you like and what you dislike. Of course, we have to have a few shots for mom. But after that, it is all you and what you want. Social media is important to seniors in this online world we live in. We get that and our senior pictures in both Ellijay and Jasper, GA are something special. Your friends will be telling you how good your images are and asking who did them. That wow factor is what provide. We know that if your senior pictures are not a the top then we missed the mark. You will find that we are about getting the perfect image and will do most anything to get what you are looking for. Location: 500 Dragon Dr, Jasper, GA 30143. Keywords: Seniors (333). 1/125; f/8.0; ISO 200; 200.0 mm.